A coastal hike turns more adventurous and you head up into the hills to get a better idea of where you are. With twenty separate handmade layers of colour building up this quintessential NZ beach scene, this print evokes the very essence of the NZ summer. 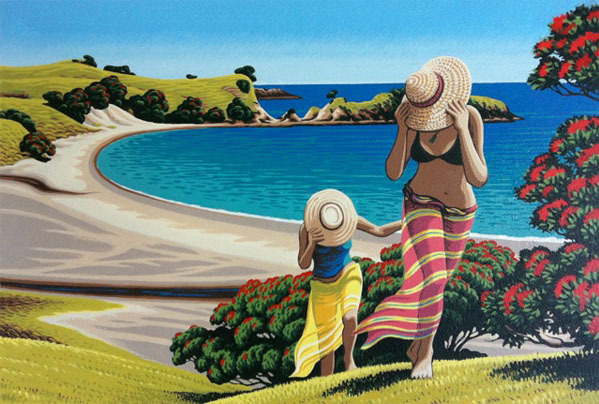 “To the Lookout” is based on a real beach, Palmers Beach, which is a surf beach on Great Barrier Island’s East Coast.